"Who knows what evil lurks in the hearts of men?" is one of the most famous taglines in comics. And it's all the more reason for Dynamite to celebrate the character of The Shadow with The Dynamite Art of The Shadow hardcover that features over 320 gorgeously illustrated pages from some of the biggest names in the industry on August 31. 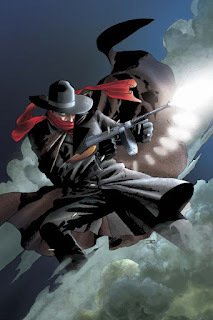 The work will include art from artists such as Alex Ross, Howard Chaykin, Matt Wagner, John Cassaday, Francesco Francavilla, Tim Bradstreet, Wilfredo Torres, Chris Samnee, Jason Shawn Alexander and many more. 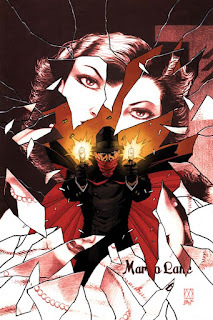 "With a line-up of interior Shadow stories by top, cutting-edge graphic storytellers, Dynamite was able to hit home run after home run with its choice of cover artists, ranging from the top painters to top traditional comic book artists to top cartoonists," adds Uslan. "The Shadow is mysterious. His artists are brilliant. 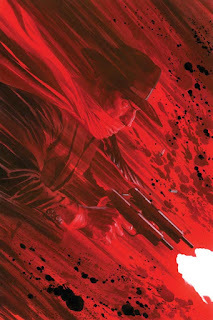 And the Shadow art is... Dynamite!" Michael Uslan, the bestselling author of The Boy Who Loved Batman and Archie Marries, provides the foreword to the compendium. From his foreword, he writes, "If you go with the radio version, he was invisible and had the power to cloud men's minds. If you prefer the pulp version, he mastered the art of stealth in the shadows. Either way, what a challenge to artists to attempt to bring this character to life in a visual medium like comic books! But without a Shadow of a doubt, the deed was done and the coup was pulled off by generation after generation of artists from the 1930's to today, building a legend of contemporary mythology in the process and making The Shadow one of the most widely-known characters in pop culture history." 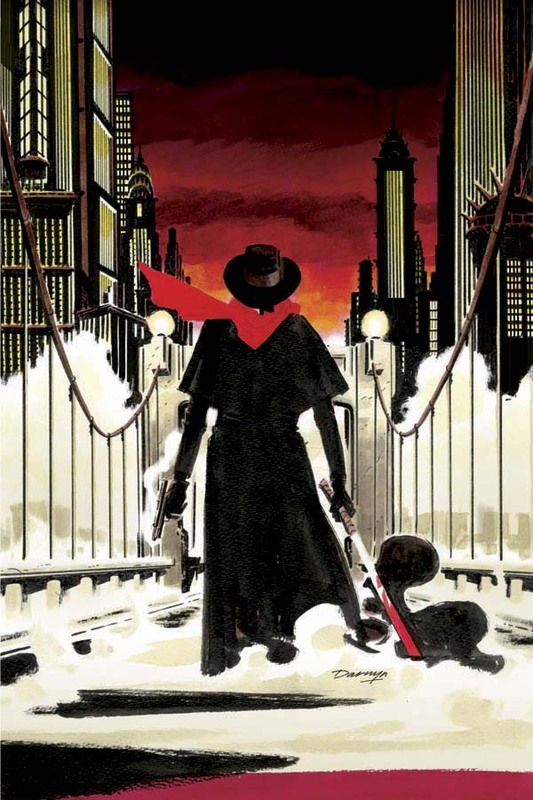 "It has been an honor for Dynamite to add to the publishing legacy of one of the most iconic characters of all time," says Dynamite CEO and Publisher, Nick Barrucci. 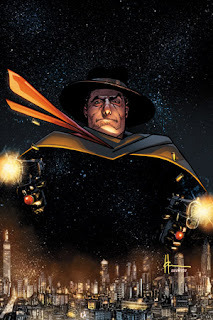 "We have been very fortunate to work with some of the best artists and writers working in comics today to tell all-new tales of this legendary pulp hero. We wanted to give fans a chance to own all of our Dynamite covers to date in a premium format, and couldn't more excited at the result." May 12, 2017, Mt. Laurel, NJ: Who knows what evil lurks in the hearts of men? Dynamite knows! Since 2012, The Shadow has been an integral part of Dynamite Entertainment's publishing line, a relentless force of justice haunting the shelves of comic shops each and every month. Over the years, dozens of highly skilled artists have drawn and painted the crime-fighter, as well as his signature cloak, slouched hat, and twin .45 semi-automatic pistols. The Dynamite Art of The Shadow celebrates the timelessness of a pulp fiction icon, as captured by the comic industry's most acclaimed talents: Alex Ross, Howard Chaykin, Matt Wagner, John Cassaday, Francesco Francavilla, Tim Bradstreet, Wilfredo Torres, Chris Samnee, Jason Shawn Alexander, and many more. Michael Uslan, the bestselling author of The Boy Who Loved Batman and Archie Marries, provides the foreword to the compendium. From his foreword, he writes, "If you go with the radio version, he was invisible and had the power to cloud men's minds. 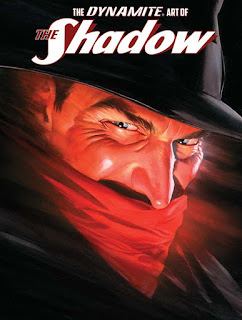 If you prefer the pulp version, he mastered the art of stealth in the shadows. Either way, what a challenge to artists to attempt to bring this character to life in a visual medium like comic books! 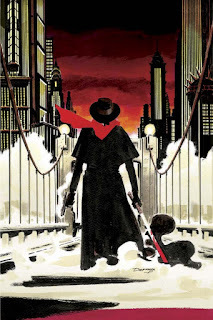 But without a Shadow of a doubt, the deed was done and the coup was pulled off by generation after generation of artists from the 1930's to today, building a legend of contemporary mythology in the process and making The Shadow one of the most widely-known characters in pop culture history. 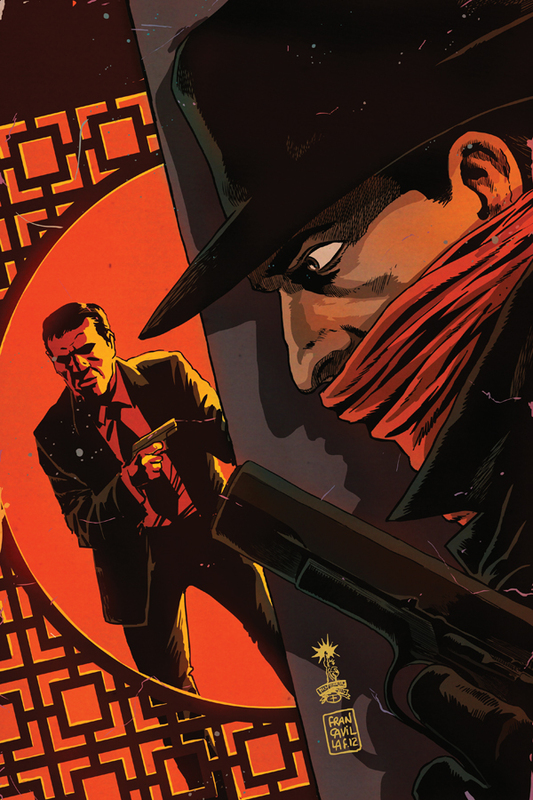 The Dynamite Art of The Shadow hardcover features over 320 gorgeously illustrated pages from some of the biggest names in the industry, and will be available wherever fine comics are sold on August 31st! Check out the June cover-dated issue of Diamond Previews catalog for more information!